Sandra L. Feasel age 68 of Ashland, passed away Wednesday January 16, 2019 at Ohio Health Mansfield. Born in Ashland on September 22, 1950 the daughter of James E. and Kathryn (Barr) Yarbrough Sr. she was an Ashland resident all of her life. Sandra was an employee of Pioneer National Latex and she retired in 2016. She loved horses and her Black Lab. Sandra was a graduate of Ashland High School and a member of the Ashland Dickey Chruch of the Brethren. On August 24, 1969 Sandra married Keith Feasel who preceded her in death in 2010. Survivors include her mother, Kathryn Yarbrough of Ashland; one sister Paula Koch of Ashland; special nephew and niece and their children, Jim Koch of Ashland and Traci (Tim) Koch-Sergent of West Virginia; one brother and sister in law, Tom (Deb) Kitchen of Ashland and one sister in law, Sharon Feasel of Ashland. Funeral services will be held on Tuesday January 22, 2019 at 11:00 a.m. at the Heyl Funeral Home with Pastor Jeff Messener officiating. 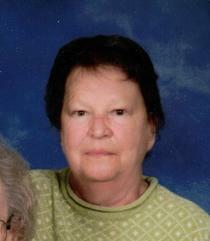 Friends may visit with the family on Tuesday from 10:00 a.m. till the time of the funeral service at the funeral home.